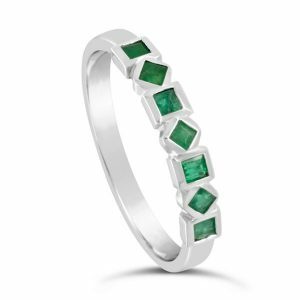 Emerald has been the May birthstone since 1912. 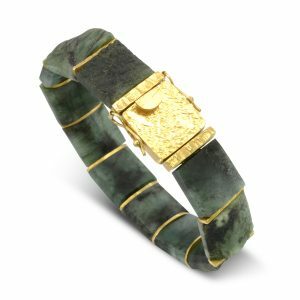 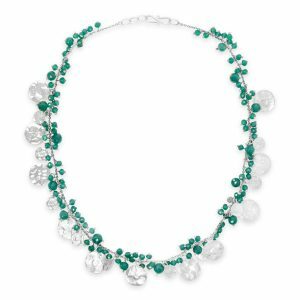 Emerald jewellery is the traditional gift for the 55th wedding anniversary and can be found all over the world. 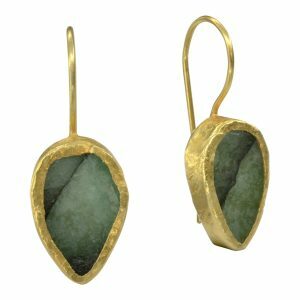 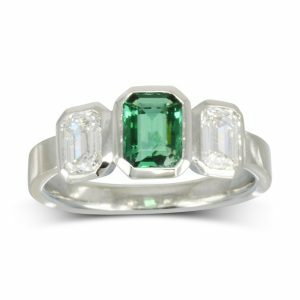 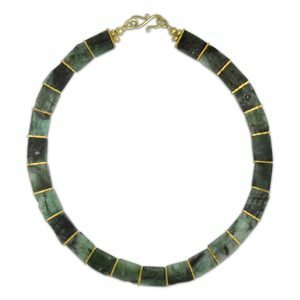 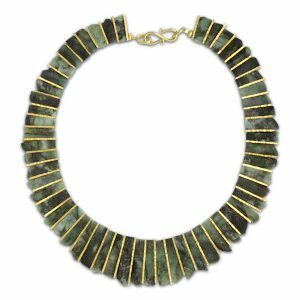 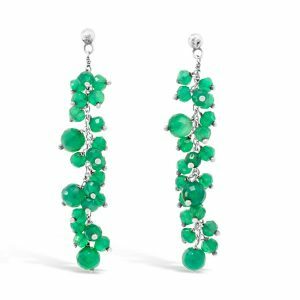 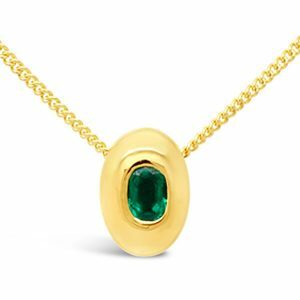 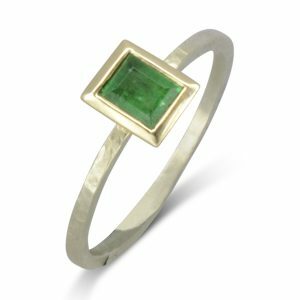 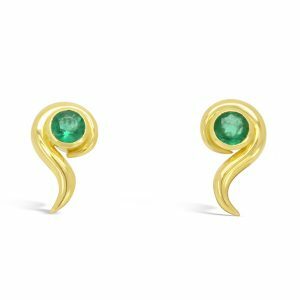 Colombian emeralds are among the world’s most beautiful, with rich grass-green colouring that’s often kissed with a touch of blue. 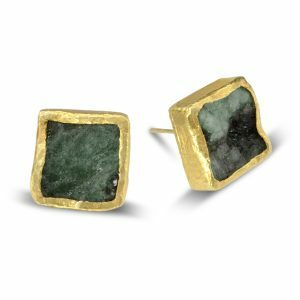 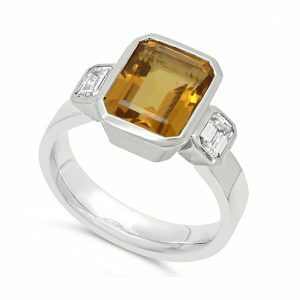 Quality gems are also found in India, South Africa, Afghanistan, Pakistan, Russia, and Zimbabwe. 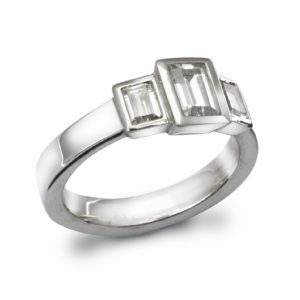 Prized since ancient times, they can be more expensive than a high-quality diamond of the same carat weight. 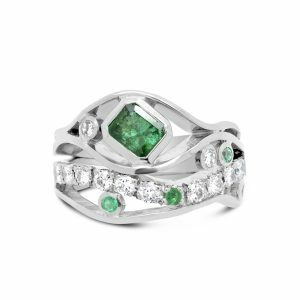 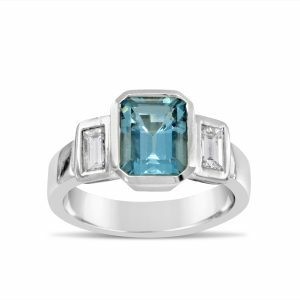 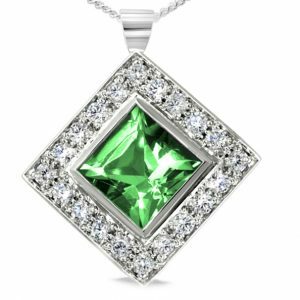 Also pictured in this section are gemstones with an “Emerald Cut”. 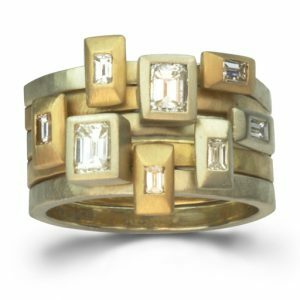 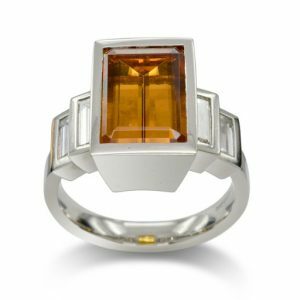 This cut was developed especially to suit their crystal structure so these unusual ring designs are perfect for them. 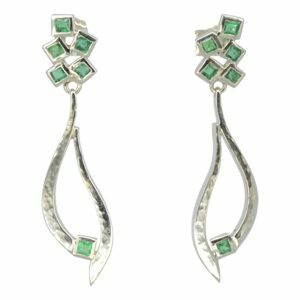 They are also available in round and ovals. 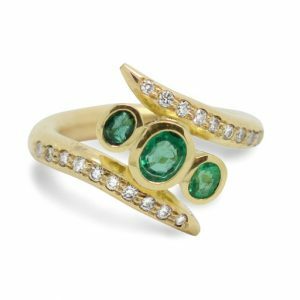 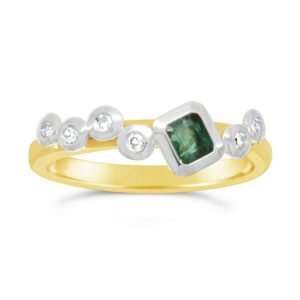 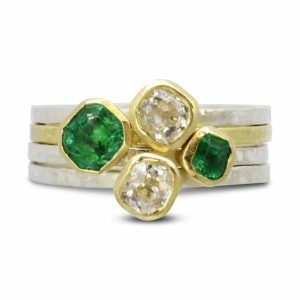 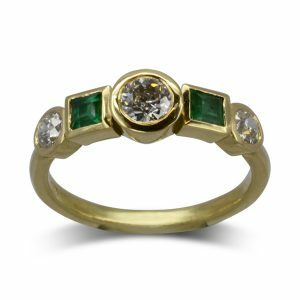 View basket “Yellow Gold Emerald Diamond Ring” has been added to your basket.